The main festival is Maha Sivarathri in the month of Kumbha Malayalam Month (Feb-March) which is celebrated with Laksharchana, Ekadasa Rudrabhisheka, Chuttuvilakku, Niramala and other special poojas. The functions will be concluded with a fireworks and followed with Krishnanattam, the classical performance, by the Krishnanattam troop of Guruvayoor Devaswom. The pradhishta day of Lord Vishnu is celebrated on the Revathy star day in the month of Makaram in a grand manner. Here also Lord Vishnu and Lord Shiva are given equal importance in all ritualistic functions though the festival is for Lord Vishnu alone. 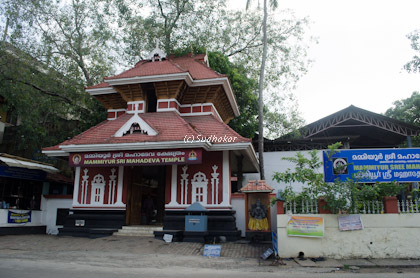 Temple location It is located 1 km from Guruvayur temple. Where to Stay? 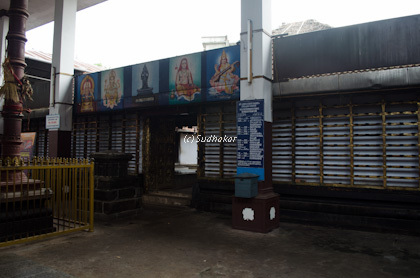 There are around several cottages near the temple built by the temple Guruvayur Devasthanam. Also there are many budget and semi deluxe hotels in Guruvayur near the temple.